Distribution : Tropical Indo-West Pacific. 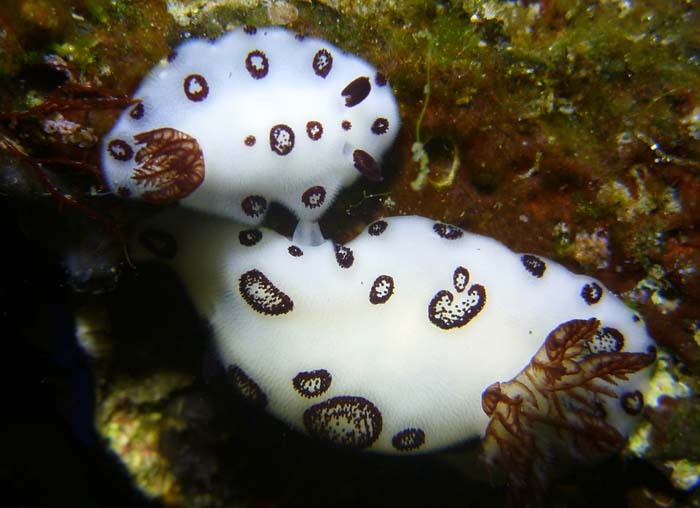 Its mantle is covered in small spiculate papillae (caryophyllidia) which are characteristic of that genus. 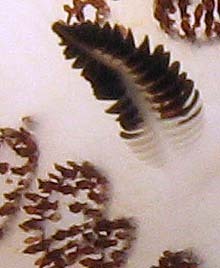 The pattern and density of black spicules is variable. - The most colour form has the rings occupying about one-quarter of the area of the mantle. - whilst some specimens had the rings on the mantle so large that they virtually coalesced. 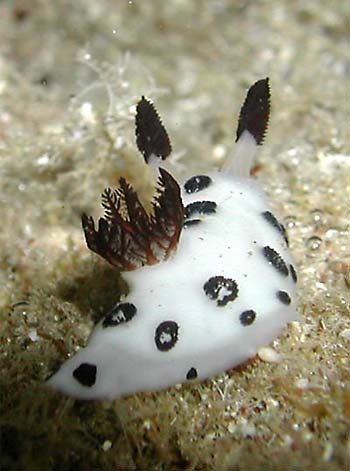 J.funebris is a sponge feeder. 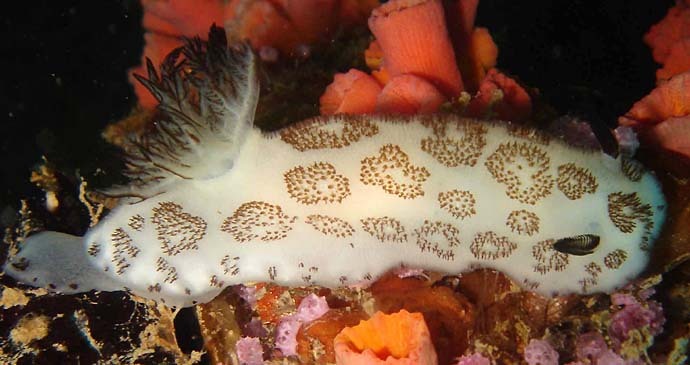 It seems that it eats different sponge species. In our area, we have only two observations of feedind behavior, in two different sponge. Kelaart, E.F. (1858). 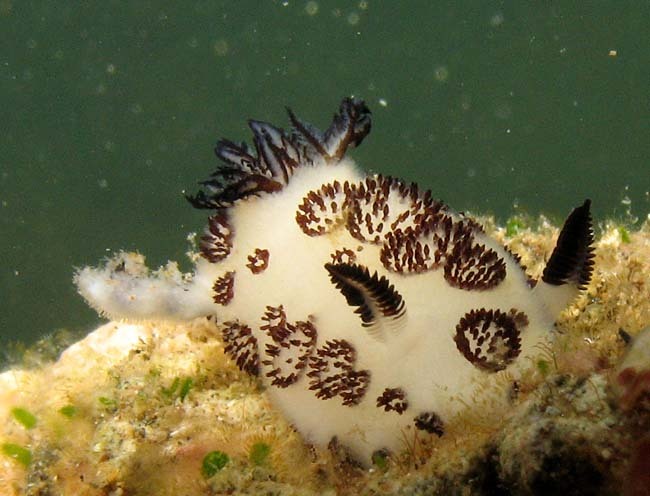 Description of new and little known species of Ceylon nudibranchiate molluscs and zoophytes. 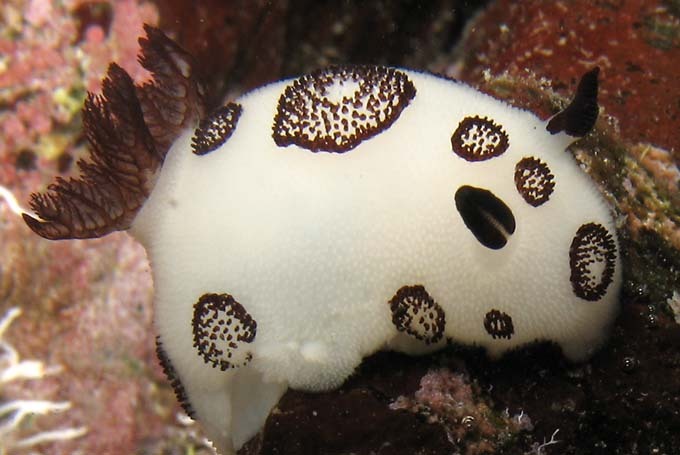 Journal of the Ceylon Branch of the Royal Asiatic Society, Columbo, 3(1) : 84-139.
mtsanga jimaweni, Mayotte, less 1m, on the reef flat zone, 23 October 2008, size : 20 mm. 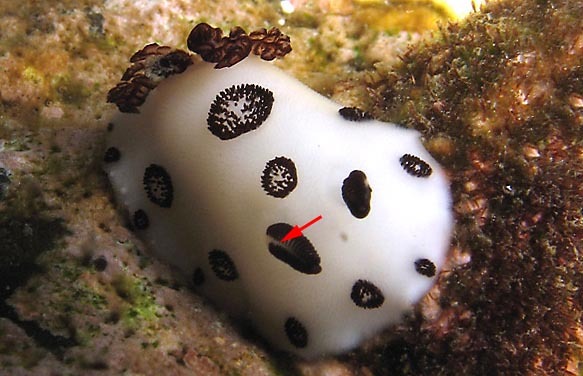 In this photo you can see the lamellate structure of the rhinophore, and its mantle, covered in small spiculate papillae (caryophyllidia) which are characteristic of that genus. 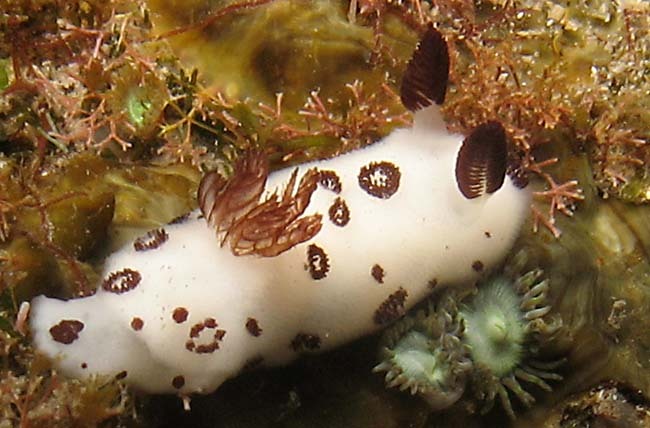 A specimen with a pale brown coloration.